So begins the first part of a spellbinding saga that spans three generations of the same family. Decades later, the family is lured back to Cuba by the promise of untold riches. But pursuing those riches brings danger as well as opportunity, and ultimately, Francesca's family must confront the lethal consequences of their choices. From the troubled streets of Havana to the mean streets of Chicago, Havana Lost reveals the true cost of chasing power instead of love. 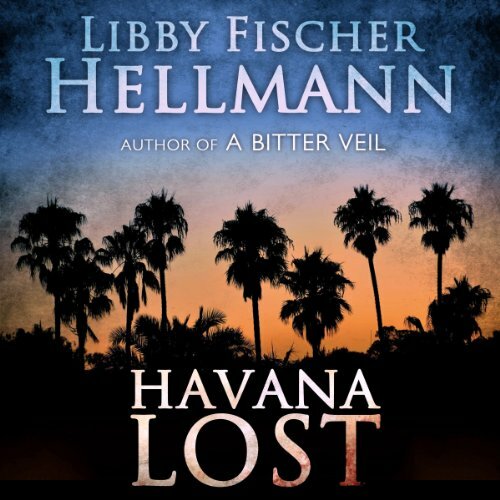 Havana Lost is award-winning author Libby Fischer Hellmann's 10th novel and third thriller that explores how strife and revolution affect the human spirit. Havana Lost is a testament to Hellmann's gift for authentic historical detail as well as her talent for writing compulsively readable and listenable thrillers. 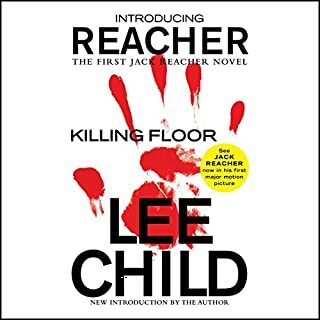 My first Libby Fischer Hellmann audiobook-it won't be my last. A fascinating story arc from the late 1950s pre Cuban embargo-historically correct-I went to Cuba on a family vacation in the late 1950s. For a 16 year old California girl, Havana was even more wild than Hollywood. And the surfing was better too. Cuba was a beautiful land with pre revolutionary rumblings that finally frightened all the NorteAmericanos out. Details the lives of 2 strong women who couldn't rely on the men in their lives; they took care of themselves, alone and pregnant..(pre birth control). This book was superior in detailing how some people just don't learn---Frankie,the willful 17 year North American girl, raised in Cuba who was torn from her lovers arms, pregnant with his child and forced to marry a cold older unloving man, remained willful as a senior citizen-in charge of the 'company'. Her daughter in law, Carla,a doctor in cuba was a nobody in America. She had the strength to repeat medical school when circumstances found her in Chicago, pregnant and broke and. finally, the young grand daughter and daughter who got caught up in the intricate manipulations of grand mother..It brought back to mind how controlled women were pre birth control when women got pregnant easily and had no control over their lives. The birth control pill didn't come out until the early 1960s and what a huge difference that made in the lives of women all over the world. I wished this book would have been longer! I think Hellmann could have really gotten deeper into the character development. These were women I liked, for all their flaws and it ended with me wanting to know more about them and what happened when.....(no spoilers here) As it is, it's over 10 hours, but I didn't want it to end. I'd like to see a sequel to the book-there were some cliff-hangers that could be developed nicely (Hint-hint). I listen to this book straight thru..began it at 9PM-fell asleep to it about 1AM... Thank goodness for my iPad sleep setting..I dreamt about Havana, woke up at 6AM and turned it back on again and listened almost all day until it was finished. For me, "Havana Lost" really got into my brain! A definite listen again and well worth your credit, if action and strong women protagonists are to your liking. I received this book free from the author for a fair review..she gained a listener! Thanks Libby! Thank goodness for Libby Fischer Hellmann. She loves the study of history so much that she can even enthrall a historiphobe like me. Fans of the historical fiction genre will love "Havana Lost," because of its pitch-perfect depictions of the historical time (spanning the Cuban revolution to the present day); and historiphobes will love "Havana Lost," because of how painlessly -- even, at times, pleasurably -- it teaches us about a significant period of recent history. Even though I, myself, lived through this time period -- as an adult, mind you -- I had little interest in the profound changes that were taking place in Cuba. I learned a lot from listening to "Havana Lost!" Throughout this novel runs a theme of 𝘳𝒆𝘴o𝘭𝘷𝘦𝘳, a Spanish word meaning something like: "Doing whatever it takes to stay alive." Hellmann does not spare us merciless depictions of the poverty that the Cuban people have been enduring for the past half-century, thanks to a glorious revolution that was supposed to "free" them. As I listened to "Havana Lost," I kept remembering the wonderful 1999 film, "Buena Vista Social Club," in which jazz guitarist Ry Cooder documented the amazing musicians who have emerged from this Cuban crucible. If you have not yet seen this movie, and you are thinking of purchasing "Havana Lost," I recommend that you rent, buy, or borrow "Buena Vista Social Club" -- not only because it will provide you with visual references to the Havana locales depicted in "Havana Lost," but also because it illustrates the truly profound meaning of Cuban 𝘳𝒆𝘴o𝘭𝘷𝘦𝘳. These remarkable musicians have -- against all odds -- pursued their art throughout incredibly difficult lives, despite politics, repression, and poverty. "Havana Lost" does not deal with Cuban music; but it demonstrates the same spirit of perseverance through hard times: 𝘳𝒆𝘴o𝘭𝘷𝘦𝘳. The narrators of "Havana Lost" do an adequate -- if not stellar -- job of reading "Havana Lost." Although the story lends itself to narration by two actors -- on male and one female -- I think that this book deserved better actors. The male actor -- James C. Lewis -- sounds too old for most the parts that he narrates; and the female actor -- Diane Perone-Gelman -- sounds too young for most of her characters. Neither actor does an outstanding job of distinguishing the characters from one another through voice and accent changes. However, the quality of writing and story-telling overshadow any slight shortcomings in the narration. I recommend "Havana Lost" pretty much unconditionally. I was first attracted to this book because of the locale being set in Havana right before the revolution. I was born there and left soon after Castro took over in 1962, so I was prepared to read critically about the accuracy of the depictions of Cuba in the story. 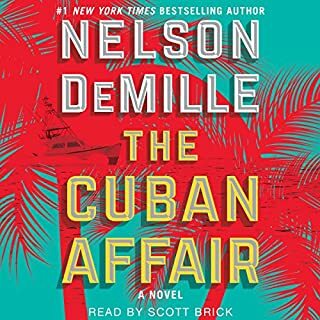 Hellman does a fine job in the first part of the novel describing the sounds and features of pre-Castro Cuba. The characters of Frankie, and her casino owner father were nicely developed, as was the love story. However, the rest of the novel proceeds at a hectic speed spanning two more generations and love stories. This leaves the reader wanting for character development and makes the love stories proceed at a frantic, and frankly unbelievable, pace. 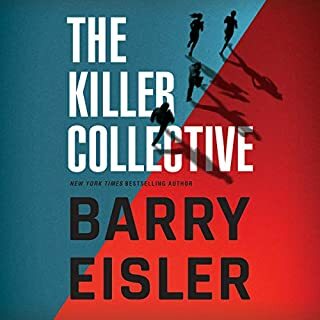 It is a good thriller with a unique mystery to resolve which makes you keep paging forward with the novel, but once again the pacing was a bit too hurried. The narration by James Lewis and Dianne Piron-Gelman was well acted, with good pronunciations of the Spanish language sequences. 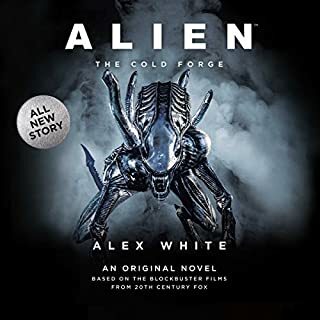 I received a copy of the audiobook from the author for a review. Libby Fischer Hellman was my entrée into the suspense / thriller AudioBooks, and the quality that I noticed in her other titles: both historical accuracy and characters created to bring the “feel” of the events to life are exemplary. In her pairing of work with narration, Diane Piron-Gelman is the perfect narrator, and for a twist, she has added the narrating talents of James C. Lewis: a dual narration that matches the story in both tone and pitch, and provides a listen that is both pleasant and easy to comprehend. Havana Lost brings us three generations all with ties to both Havana and Chicago, but starting with Francesca, daughter of a Mafia man with ties to Chicago; he is running a casino in Havana in 1958 (pre-revolution). Francesca meets and falls in love with a pro-Castro revolutionary and runs away with him rather than cooperate with her parents’ plans to return her to the less-volatile Chicago. From here the nuancing of characters and extensive research come into play: what is commonly believed as a good/bad or black/white issue around the Cuban revolution and conversion to communism (with a healthy dose of time expended to show ties between Cuba and Angola) give a healthy shade of grey to explore, from that viewpoint alone this is a history lesson without the boring bits! In typical strong-arm fashion, Francesca is found and returned to her parents care, and married off before her pregnancy becomes a known issue. Her growth throughout the story, the hardened edges and maturity are impressive, while never refusing to acknowledge the ties she and her son have to Cuba. These ties will lead her son and granddaughter to return in search of a rumored buried treasure: each one brings a vision of Cuba past its glory days of the 30’s and 50’s with Hemingway at the bar and casinos bringing American tourists to spend. From gentle decline to abject poverty, secretive revolutionary thinking and harsh punishments for those who speak out: this story shows a correlation in the family losses to the country’s decline that are near parallel. 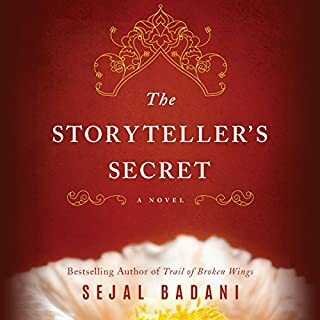 Narration is perfect in this story: never harsh or overbearing, not distracting or overly emoted, the narrators match pitch and tone with patois and delivery to delineate characters, giving readers a sense of who is speaking at all times. If there is one weakness, it is the rush to the finish to wrap the story up with conclusions that are not quite signaling the end of the road, but presenting a bleak picture of both life with the mafia and life in modern Cuba. 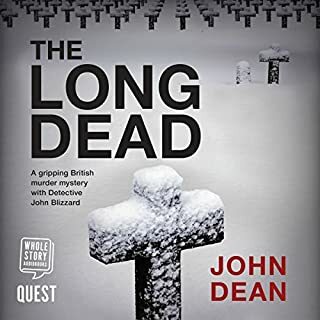 Full of twists and turns, and several unexpected moments this was a listen that was hard to put on pause, and has whet the appetite for more. I received an AudioBook version of the title for purpose of honest review. I was not compensated for this review: all conclusions are my own responsibility.